Airflows can be used to run wind turbines. Modern utility-scale wind turbines range from around 600 kW to 5 MW of rated power, although turbines with rated output of 1.5–3 MW have become the most common for commercial use; the power available from the wind is a function of the cube of the wind speed, so as wind speed increases, power output increases up to the maximum output for the particular turbine. 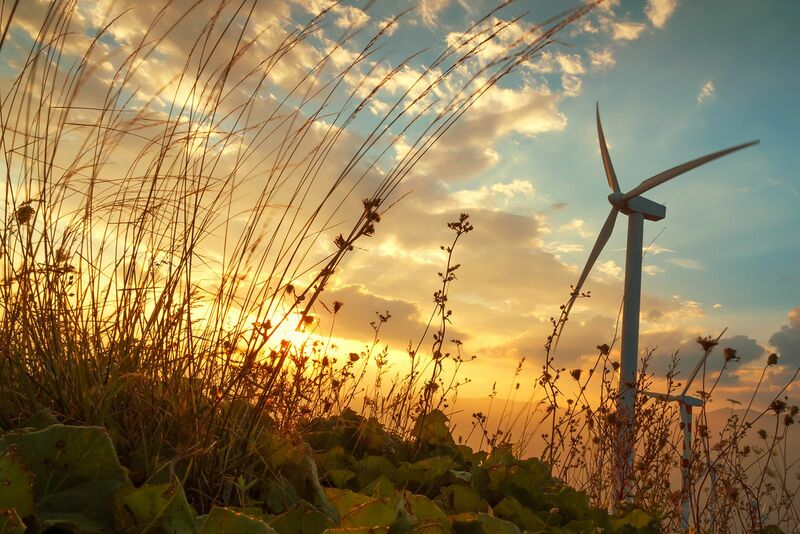 Globally, the long-term technical potential of wind energy is believed to be five times total current global energy production, or 40 times current electricity demand, assuming all practical barriers needed were overcome. This would require wind turbines to be installed over large areas, particularly in areas of higher wind resources. As offshore wind speeds average ~90% greater than that of land, so offshore resources can contribute substantially more energy than land stationed turbines. Solar energy, radiant light and heat from the sun, is harnessed using a range of ever-evolving technologies such as solar heating, photovoltaics, concentrated solar power (CSP), concentrator photovoltaics (CPV), solar architecture and artificial photosynthesis. 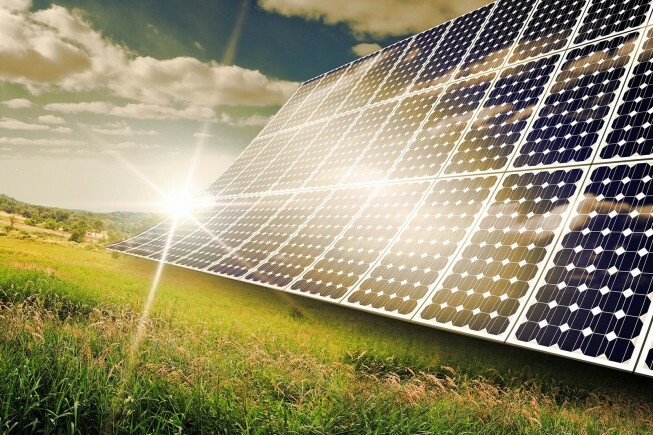 Solar technologies are broadly characterized as either passive solar or active solar depending on the way they capture, convert and distribute solar energy.